A new Jaguar XE defies all expectations of the sports sedan segment. It provides the agile power that Huntington road warriors are looking for, as well as a sleek, stylish design along with lots of upscale features inside and out. If you’ve grown tired of what you’re currently driving around Beckley, count on the new Jaguar XE to deliver a shot of adrenaline to your daily drive. When you’re ready to see what this sedan is capable of, take it for a test drive at Jaguar Charleston. 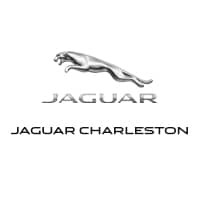 The NY Daily News calls this model a “delight to drive.” To find out if you agree, visit Jaguar Charleston today. Compare the XE to the Mercedes-Benz C-Class and then contact us for more information. You can also feel free to apply for financing at your convenience.